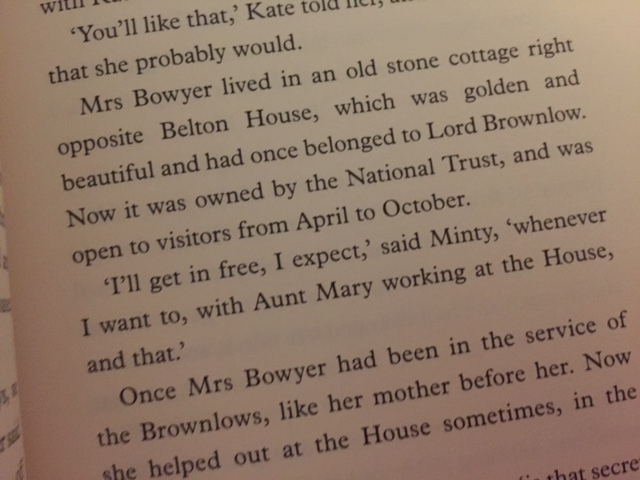 I have discovered the secret of making a National Trust property EXTREMELY popular. 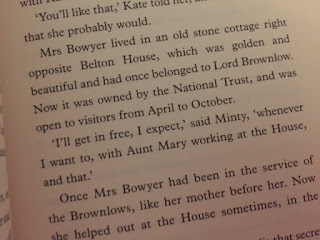 Yes indeedy, if I was put in charge of an NT house I would simply write a best-selling book about the place and get the BBC to make a TV series about it. Job done. And now Belton is the 5th most popular National Trust property, with over 400,000 visitors a year! Amazing. Sadly, the Scone Sidekick had never seen the TV series, so he had absolutely no idea what he was looking at today. He was even more confused when I explained that it was actually a sundial. The two figures represent Eros (for love) and Chronos (for time). 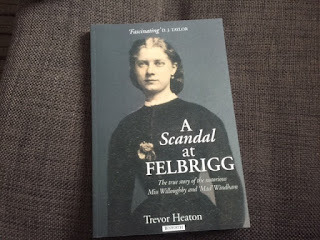 I thought it was great - I can see why Helen Cresswell, the author, was so inspired by it. I must admit though; I was expecting to find hundreds of people gathered transfixed around the moondial/sundial, but there was only me, the Sidekick, and one other woman of a similar age to me. Maybe the 399,997 other visitors just like Belton. 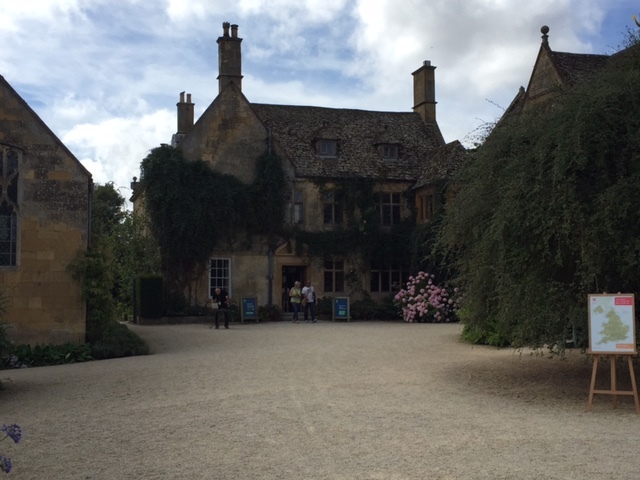 Richard Brownlow, a very successful lawyer, bought the Belton estate in 1609. 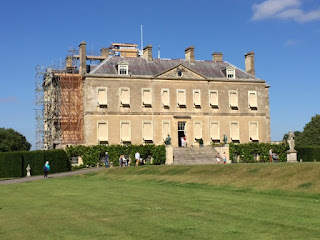 Various Brounlows followed until Sir John Brounlow, Viscount Tyrconnel, had no children and passed the estate to his sister's son, Sir John Cust, in 1754. It remained in the family until 1984, when Edward Cust, 7th Baron Brounlow, gave it to the National Trust. 'Young' Sir John Brounlow inherited Belton in 1679 and work started on a new house in 1684. It was built around four central rooms that are still there today, although the property has undergone a lot of change since those days. 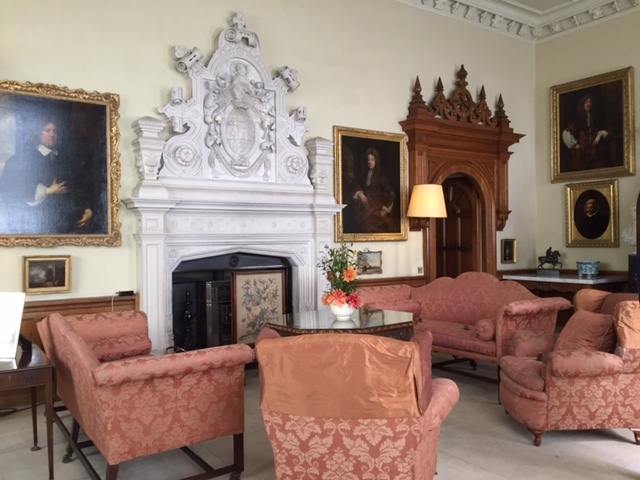 The very impressive Chapel and the adjacent Drawing Room are the least altered of the 17th century interiors. 3. It played a part in the Abdication crisis! 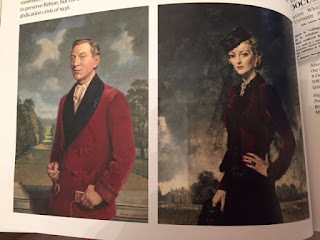 Peregrine Adelbert Cust, the 6th Baron Brounlow, inherited Belton in 1927. He was a close pal of Edward, Prince of Wales, and became his Lord in Waiting in 1936 when Edward became king. It all went a bit wrong after that, however. 'Perry' accompanied Wallis Simpson to France to try and extract her from the media storm in 1936. He persuaded her to release a statement on 7 December saying that she would withdraw from the unhappy situation, but by 10 December Edward had decided to abdicate. Many people, including the Archbishop of Canterbury, blamed Perry for the whole sorry mess. He withdrew from public life and died in 1978, after which his son (named Edward) gave Belton to the National Trust. This is Perry and his wife, Kitty. They even look a bit Eddy-and-Wallisy, don't they? 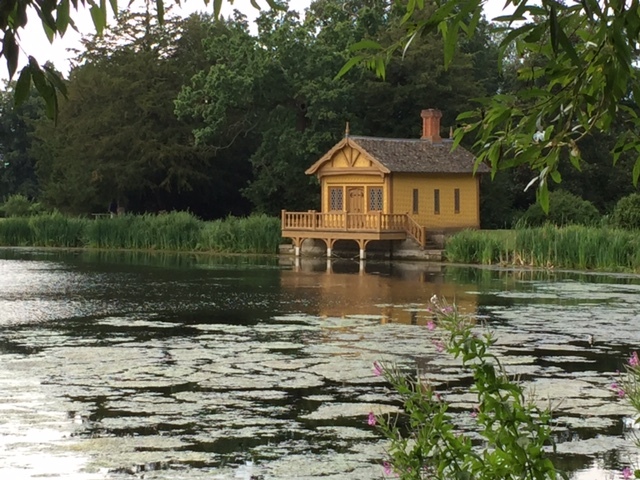 A path takes you from the house through the Pleasure Grounds to the Boathouse, which was designed by Anthony Salvin in 1821. 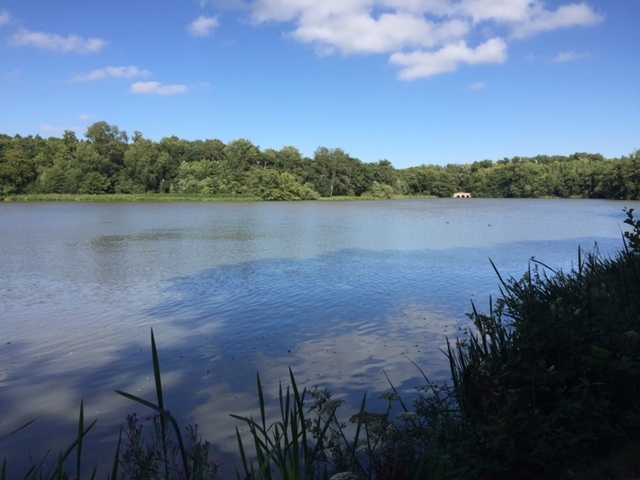 It's a lovely little spot - the Brownlows used it for fishing and picnics. 5. 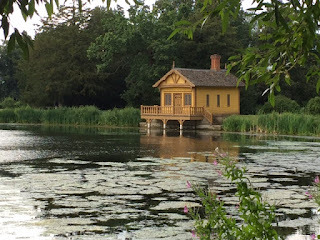 It was also in Pride & Prejudice! It's not just Belton itself that has benefitted from some TV glory. 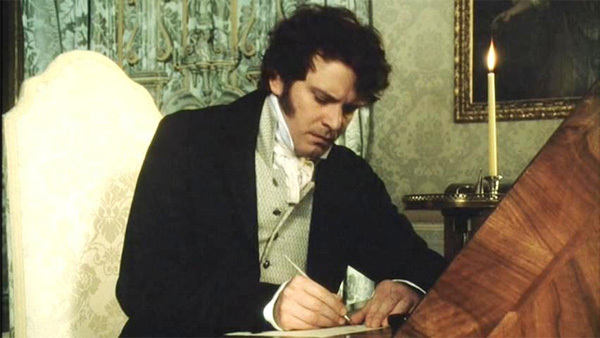 In 1995, this beautifully crafted bureau decided to get a piece of the action by sharing a scene with Colin Firth in the TV series of Pride & Prejudice. Anyway, twenty years on and the bureau needs some conservation work, so they are reminding people of the hugely important role it played in bringing Darcy and Lizzie together. 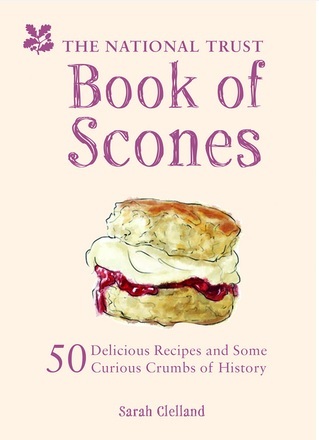 There's also a mention of scones in the book, which therefore makes it my favourite book of all time (soon to be replaced by Around England in 50 Scones). 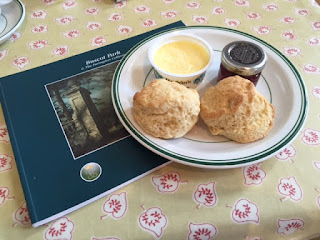 Sadly the scones that get mentioned in Moondial are not strictly NT scones - they were made by Aunt Mary - but still. Belton House in the real world has a smashing tea room, with a very impressive display of cakery. The scones themselves were great - very fresh and light. Anyway, I highly recommend Belton House. And now I need to get a wriggle on, as I've got 565 best-selling books to write. 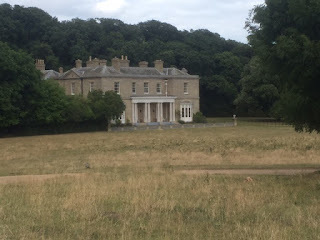 It was the location for the video of I've Never Been To Me by Charlene (as in "Ahhhh've been to paradise/But I've..." etc.) - honestly! Watch it! I would struggle to come up with two greater claims to fame, frankly. 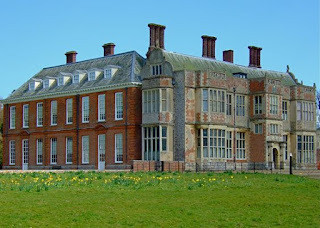 There was a manor house at Blickling in the 11th century which belonged to Harold Godwinson. He later achieved fame as Harold II, the last Anglo-Saxon king of England, who succeeded Edward the Confessor and reigned for a few months before meeting a messy end near Hastings. William the Conquerer gave Blickling to his chaplain. 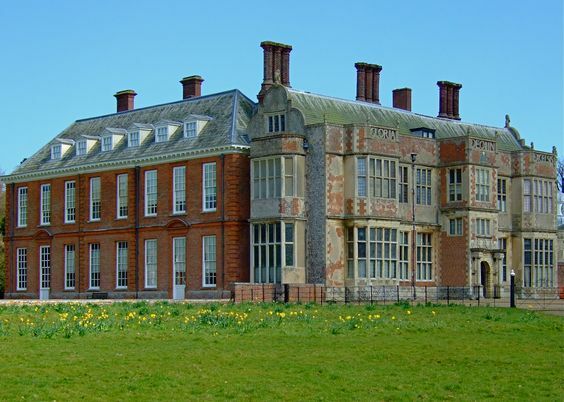 Sir John owned Blickling at the beginning of the 15th century - he was an English knight who lived from 1380-1459. However, he was actually made famous in the 16th century as Falstaff, the fat and cowardly knight that appears in three Shakespeare plays. Whether the real John was fat and cowardly, nobody knows. 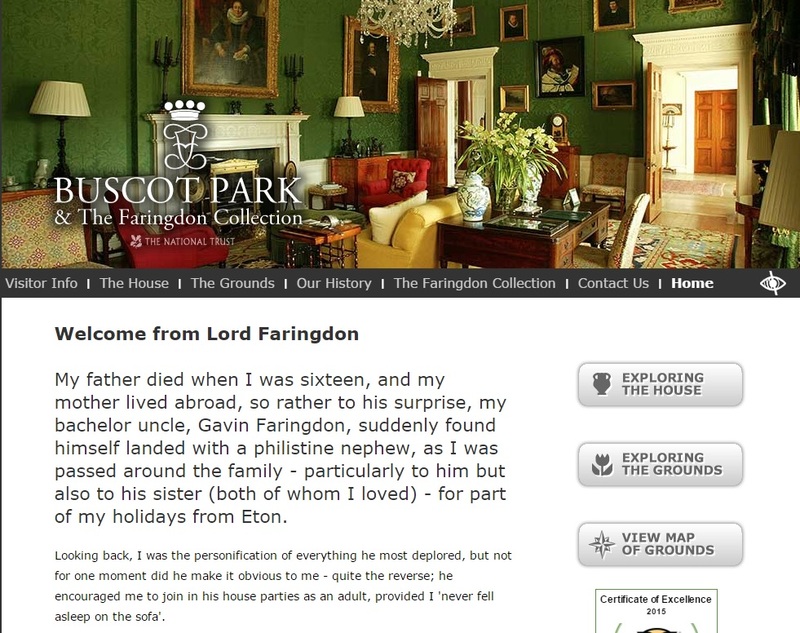 But he definitely lived at Blickling. 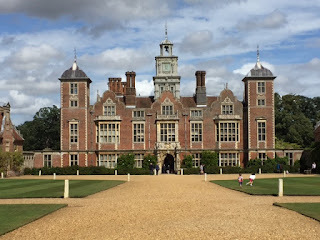 Sir John sold Blickling to Geoffrey Boleyn in 1437. His grandson, Thomas Boleyn, inherited in 1505. 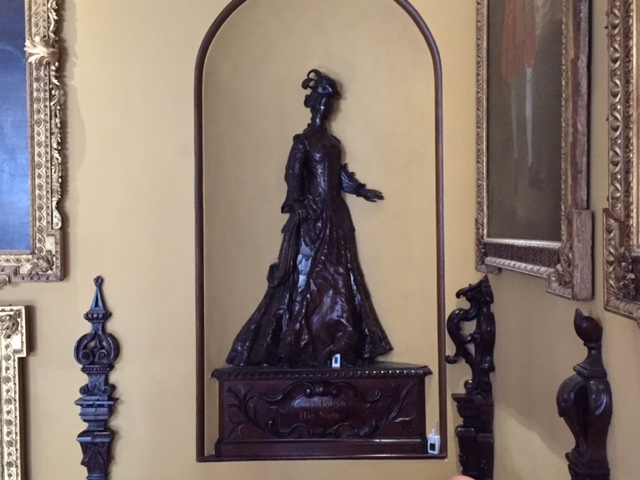 Nobody knows when his daughter, Anne, was born, so it's impossible to know whether she was born at Blickling or Hever Castle. However there's a carving on the wall saying "Anna Boleyn - Hic Nata" or 'born here' and who are we to argue. 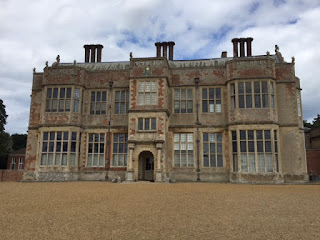 Anne is said to haunt Blickling on the anniversary of her death. 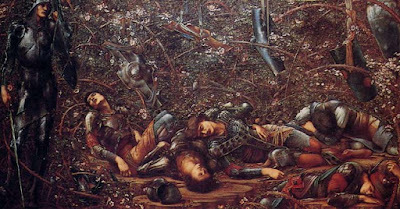 Thomas is also said to haunt the area, cursed for eternity for failing to prevent Henry VIII from executing two of his children. Every year, he has to cross 12 local bridges before cockcrow. Sir Henry Hobart (pronounced Hubbard) bought the Blickling Estate in 1616 and built the house that we see today. However, instead of razing the previous house to the ground and starting from scratch, he asked Robert Lyminge, the architect, to incorporate the old house into the new. Which he did. Poor old Henry Hubbard - I'm only including him on this list because he died following a duel. He lost his seat during an election in 1698 and blamed a neighbour for badmouthing him. He challenged the neighbour to a duel, which took place illegally without seconds or witnesses, and his neighbour "ran him through". Henry was carried home, where he died. 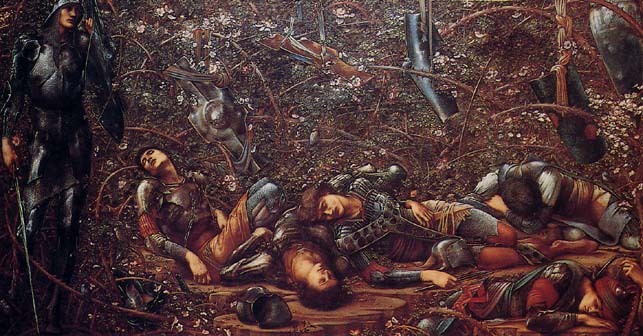 Henrietta was the daughter of the Henry that was killed in a duel. She never actually owned Blickling - it belonged to her brother and then to her nephew. However, she did an awful lot for her brother - he benefitted greatly from the fact that she was mistress of the Prince of Wales from 1718 to 1734 (or George II as he was from 1727). Before that it seems she had had a tough old time - she was married to Charles Howard, son of the Duke of Suffolk, who turned out to be a wife-beater and a gambler so she left him in 1717, which meant giving up all contact with her son. Henrietta's nephew, John Hobart, left the house to his second daughter, Caroline, in 1793. His eldest daughter, Harriet, had annoyed him by getting divorced. 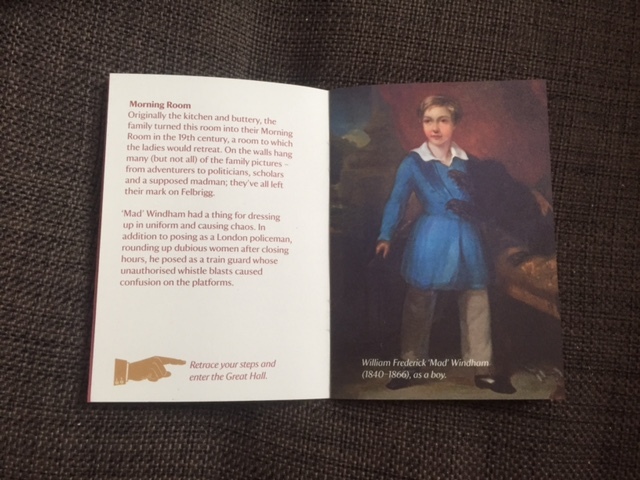 However, Caroline had no children and so it was Harriet's son by her second husband, the Marquess of Lothian, who inherited Blickling in 1850. By 1930, Blickling had made its way down the line to the 11th Marquess of Lothian, Philip Kerr. He was British ambassador to the USA from 1939-1940, playing a major role in getting the US into World War II. He was also a huge supporter of the National Trust, helping to set up the Country Houses Scheme. 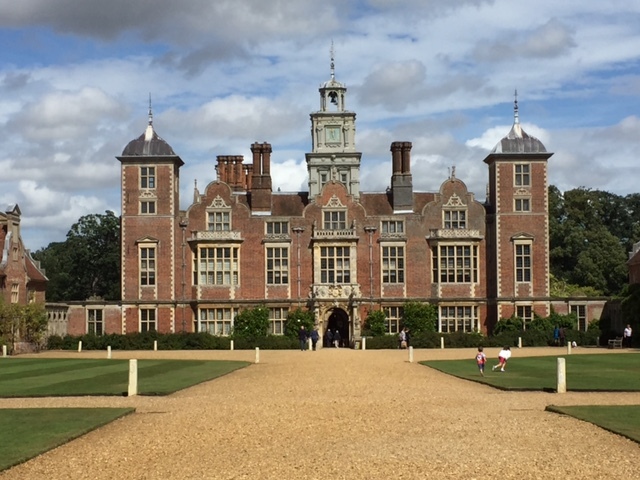 He did a lot to the house and garden at Blickling, which had been tenanted for many years, and it was passed to the Trust after his death in 1940. What did I tell you? So much excitement for one house. But this brings me on to something that always flummoxes me about the National Trust; why do volunteers dress up in period costume at NT properties, but dress up AS SERVANTS. Why? It's not actually 1730, so why not pretend to be Henrietta Howard? Why be a lowly kitchen maid when you could be marching about the place hitting other volunteers with a riding crop for being lazy? 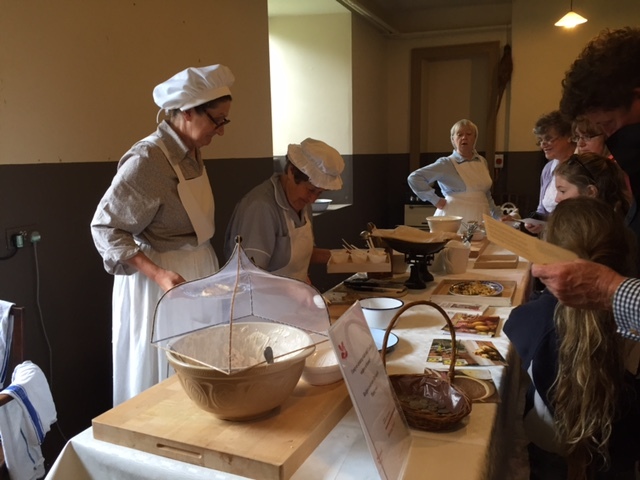 But the volunteers pretending to be cooks at Blickling were great - they were very funny and they engaged brilliantly with the visitors, especially the teenagers; "How old are you? 14? Great, you can start tomorrow" (cue terrified face from teen). 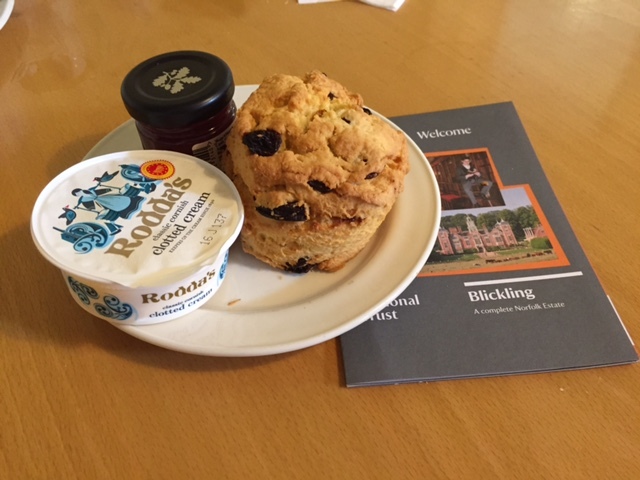 Speaking of scones, the Blickling tea room was very pleasant and the scone was very, very tasty indeed - one of the tastiest scones I have ever encountered on this Odyssey. I agonised over the score though, because although it was tasty it was a tiny bit dry. 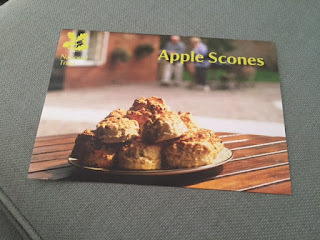 In the end, I gave it a 4.9, which is mean considering they also offered recipes for apple scones and all, but this is a very serious study and I have to be ruthless. 1. Consult the map. I hate to admit this to you, but I couldn't find the garden. It's enormous but I just could not work out how to get into it. If I had looked at the map, I'd have worked it out. 2. If you need somewhere to stay near Blickling, try The Buckingham Arms - it's a pub located on the estate (not NT), it has rooms, and it looked lovely. I try to avoid National Trust gardens, as they are very dangerous places. I always end up walking around thinking "A white garden - what could be simpler. 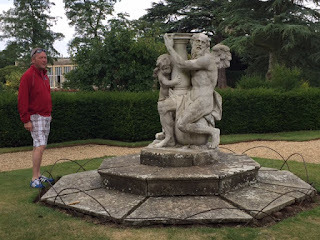 I could definitely do this at my house," while ignoring stuff in the guide book like "Hidcote took 30 years to create" "the owner was a very rich man" "there are 9 full time gardeners at Hidcote" etc. 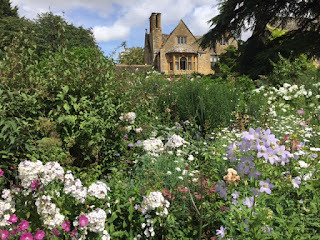 But I threw caution to the wind today and went to Hidcote near Chipping Campden in the Cotswolds. And I'm very glad I did, because it's a beautiful place. The house was originally built in the late 17th century as a farmhouse. It was bought by Lawrence Johnston and his mother in 1907. Gertrude was the mother of Lawrence Johnston. She was from a wealthy New York family (they made rope) and she married Lawrence's father, Elliott, who was from a wealthy Baltimore family (they were bankers). They got divorced and she married a wealthy man called Charles Francis Winthrop (he was a retired stockbroker). 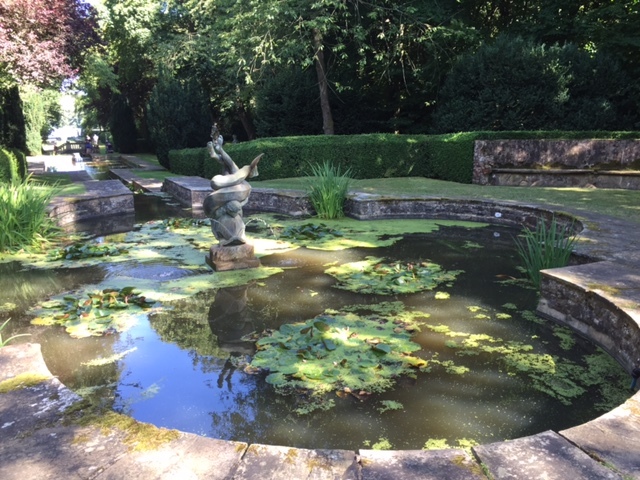 When Lawrence decided to settle in the Cotswolds, she came with him and bought Hidcote. Lawrence spent his early life going back and forth between Europe and the US. In 1900 he became a British citizen and joined the Northumberland Hussars to serve in the Boer War. 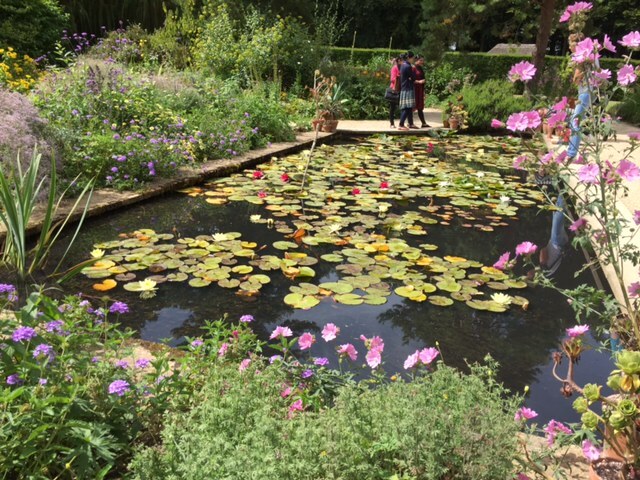 While he was with them, he decided to find a permanent residence and came across Hidcote - it was perfect, both for the many friends he had in the area and because it allowed him to pursue what became his life's work; plants and gardens. 4. Development of the garden! Johnston started work on the garden right away, creating 'garden rooms' around the manor house in the Arts and Crafts style. There was a hiatus while he went to fight in the First World War, but the 1920s and 1930s were the glory days of Hidcote. It was visited by Edith Wharton, Vita Sackville-West, and other eminences. 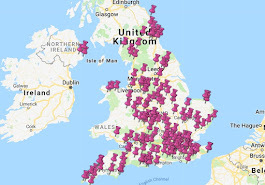 There are 37 areas listed on the map that you can walk round, although I was surprised at how tightly packed it all was - you can easily walk round it in less than an hour, although if you actually want to look at the plants then you'll need a lot longer. There's also a bit of wildlife wandering around; the Scone Sidekick decided to investigate a bustle in a nearby hedgerow at one point, expecting to find a squirrel, and nearly had his head taken off by an annoyed cockerel. Lawrence eventually decided to move to France, where his mother had bought a place. 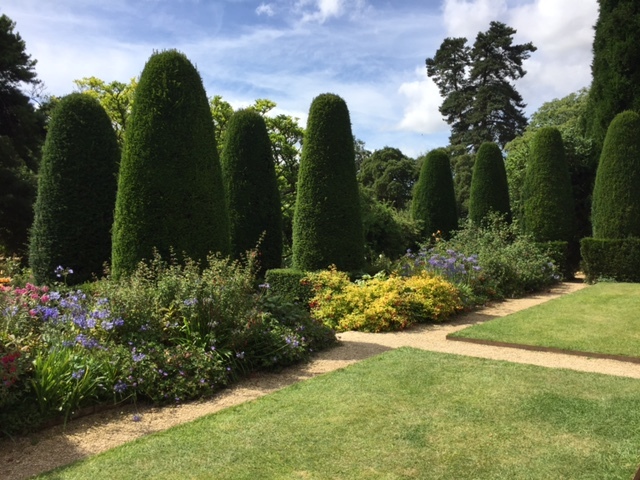 He contacted James Lees-Milne at the National Trust to see if the NT would take on the upkeep of Hidcote. We have seen before that James L-M was not the kindest of people - he described Lawrie as "a dull little man" who was "mother-ridden". Anyway - the NT wasn't sure about the idea and then they were and in 1948 the papers were signed. I had another scone scare today, following my Room 101 scenario at Kedleston Hall last week, where I saw a waiter walking around with a sign saying "SOLD OUT - FRUIT SCONES". Stuff of nightmares. Anyway, I joined the tea queue today and realised that there were only two scones left on the counter and three people in front of me. Even with my poor maths, I knew I was in trouble. I also knew I had to act fast. I recalled a Victoria Wood sketch where the Julie Walters character tries to take the last two croissants and so Victoria grabs them and licks them. 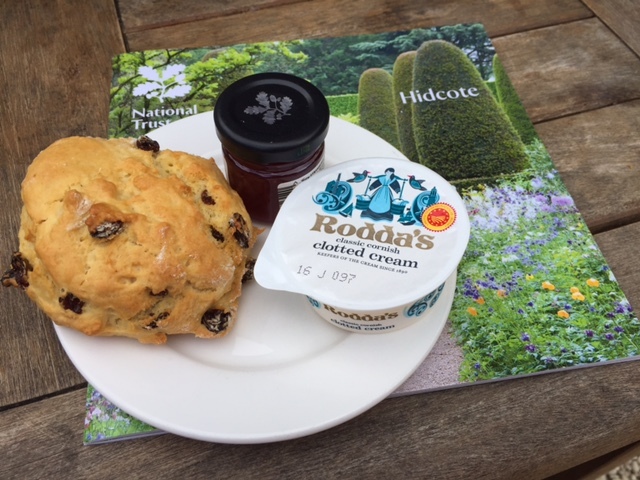 However, I wasn't sure that this would go down too well in a National Trust tearoom? 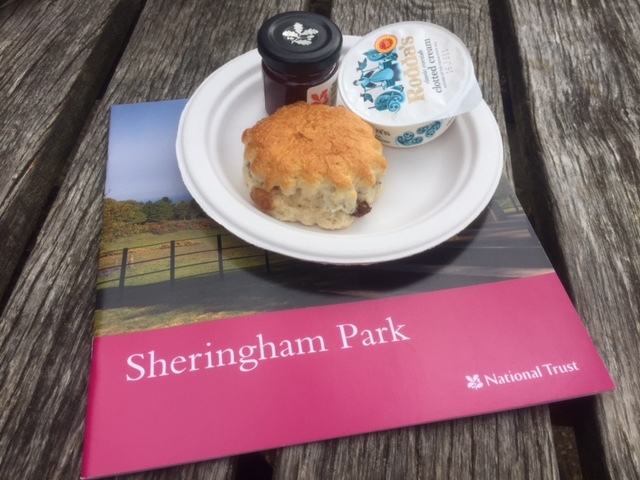 Luckily, by the time I had talked myself out of that course of action, the three women in front of me had decided to stick with coffee only and so I was able to seize my scones without being thrown out. The trouble with taking the last scone is that it's often the runt of the litter. 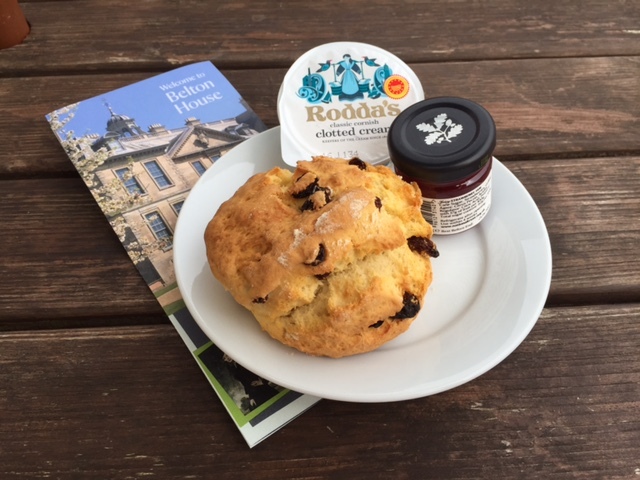 This scone looked quite small and flat and I was very concerned about it (in other words I moaned for five full minutes to the Scone Sidekick until he asked me to stop). But it was absolutely delicious - it was fresh as a daisy and really tasty. 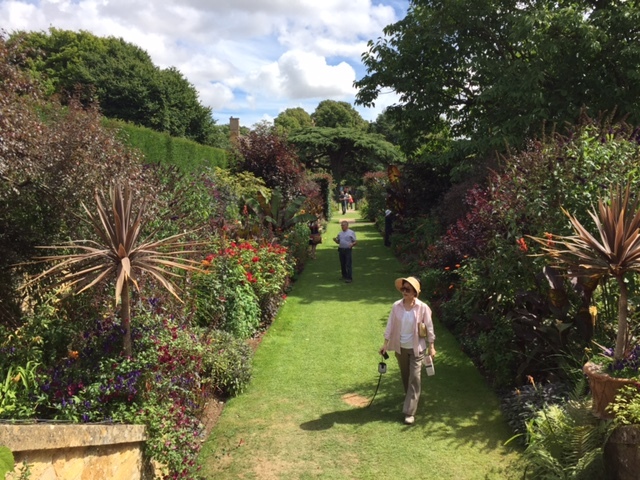 Hidcote reminded me a lot of Nymans - a beautiful place that somehow manages to cope with huge numbers of visitors while retaining a lovely relaxed atmosphere. I highly recommend it. I love the honesty of the National Trust. 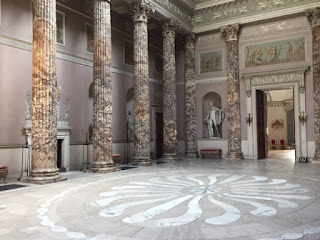 The fourth sentence of the Kedleston Hall guide book quotes Dr Johnson, of dictionary fame, who said; "It would do excellently for a town hall". And the interiors are huge - grand rooms built for entertaining and showing off works of art, rather than providing space for a family home. 1. 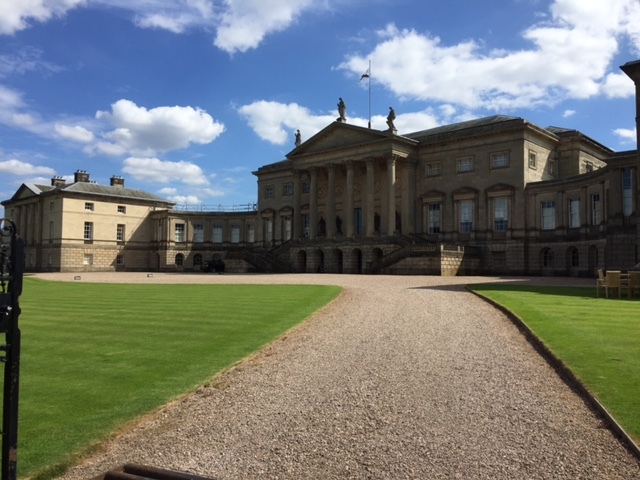 Kedleston has been owned by Curzons for nearly 900 years! The Curzon family arrived in the UK with the Norman Conquest. 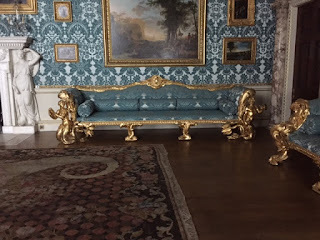 There have been Curzons at Kedleston for hundreds of years and they still live there today - the place was given to the National Trust in 1986 but there is still a family wing. 2. 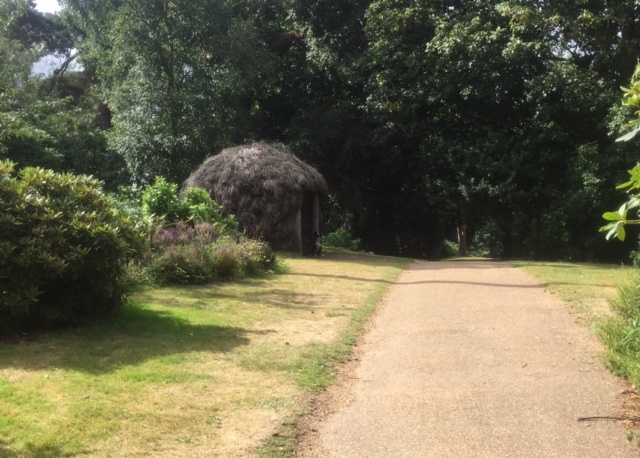 The house we see today was begun in the mid 1700s! 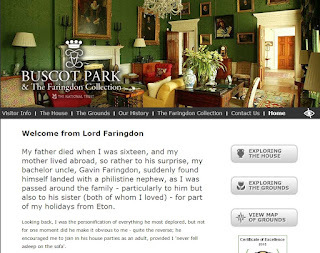 Sir Nathaniel Curzon, 1st Lord Scarsdale, had a modest political career, like his ancestors. However as soon as he inherited Kedleston in 1758, he started to improve the place on a major scale. 3. 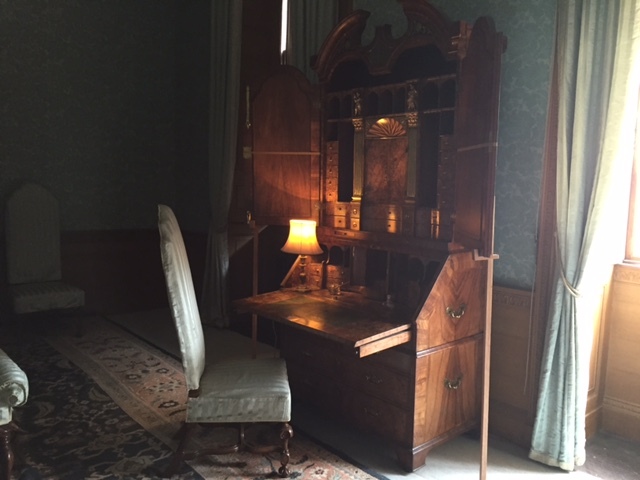 Robert Adam was the architect! 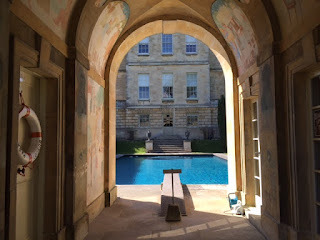 Nathaniel had originally employed Matthew Brettingham to build his house in the Palladian style. James Paine, another Palladian architect, came along and contributed to parts of the house also. But Palladian architecture was falling out of fashion. In 1758, Sir Nat met Robert Adam, the architect known as 'Bob the Roman' because of his love of Roman buildings and the Neo-classical style. 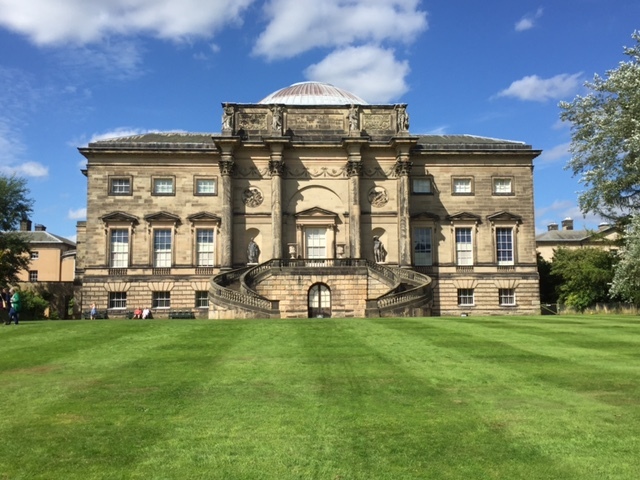 In 1760 Bob was given total responsibility for the build at Kedleston. 4. The South Front is stunning! 5. The interiors are also stunning! The Marble Hall (above) is gigantic, as is the Saloon - huge rooms occasionally used for balls and other events. The showstopper room for me, however, was the Drawing Room and these huge sofas that were specially made in 1765. 6. George - the most famous of the Curzons! I first came across the delightful George Curzon at Montacute House last year. 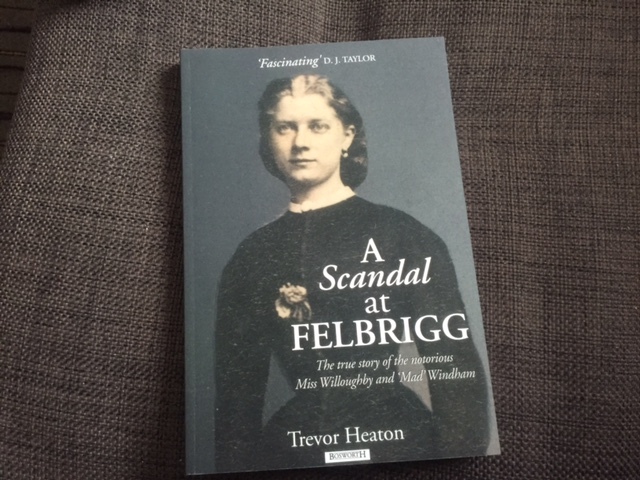 I told the story of his affair with the novelist Elinor Glyn - she had been helping him to restore Montacute when she opened the newspaper at breakfast one day and discovered he had just got engaged to someone else. George only inherited Kedleston nine years before his death, but he adored the place. The guide book tells how George's ambition to become Viceroy of India was fuelled by his finding out that Government House in Calcutta had been designed to look like Kedleston. He achieved his ambition, becoming Viceroy in 1899 aged just 39. He was very driven and did a lot to preserve historic buildings, both here and in the Far East, but he made a lot of enemies. He expected to be made Prime Minister in 1923 but Stanley Baldwin got the gig instead. 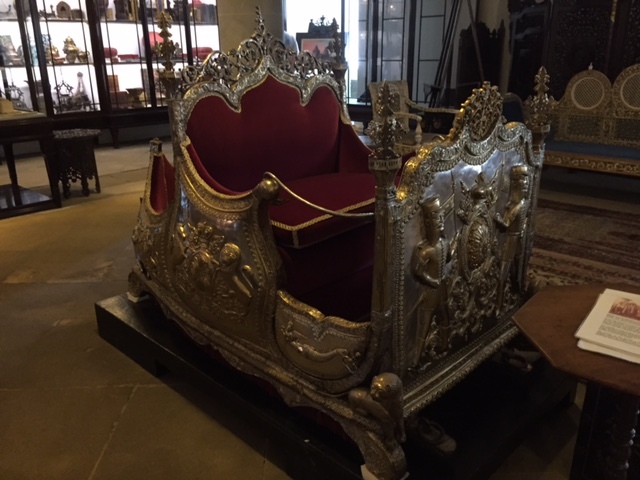 George collected various pieces during his time in India and his collection was divided between a museum at Kedleston and the V&A. Me: It's a saddle. For an elephant. Her: They put that on an elephant?! With people in it?! The poor elephant! 7. There were scones! Thank GOD! The restaurant at Kedleston is quite unusual - it's in the house itself, which always brings a few understandable limitations in terms of layout. 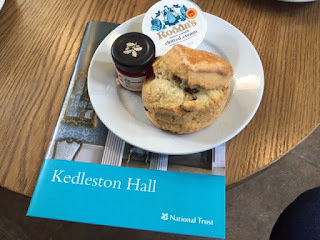 At Kedleston, you queue up at a till, give your order, and then wait at your table for your scones to arrive. There were about 14 people ahead of me in the queue and just as I got to the front I had a heart-stopping moment - a waiter that had been searching for something on the desk triumphantly found what he had been looking for, just as I was about to be served; it was a sign saying "SOLD OUT - FRUIT SCONES". But they took the order and I went back to my seat, practising my calm face for when they came to tell me they had run out. But it didn't happen. The scones arrived and they were huge - I couldn't have picked a better-looking scone. For some reason, however, the scone was really cold in the middle - not actually frozen, but very cold - and although it didn't really affect the overall taste, it completely confused me. I'm guessing it had been defrosted, but the rest of the scone wasn't warm so it couldn't have come directly from a microwave. 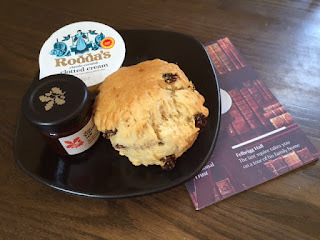 ANYWAY - it was an OK scone, the tea was absolutely delicious, and the restaurant was nice and airy and light so we had a very pleasant time indeed. I'm going to end with a final fascinating factoid that I discovered during my extensive research* into the Curzon clan. It turns out that the singer Harry Nilsson, the man who sang 'I can't liiiiive, if living is without yoo-ooo-oooou', once owned a flat on Curzon Street in Mayfair and both Keith Moon and Mama Cass met their untimely deaths in it within four years of each other! It is not the most cheery of stories, I grant you, but interesting all the same. It has absolutely nothing to do with Kedleston, however, as Curzon Street in Mayfair is named after a man from a different branch of the family. But factoids are factoids!